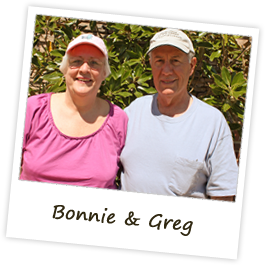 Our friends Don and Sandie are flying out today to Kodiak Island to view the Grizzlies. 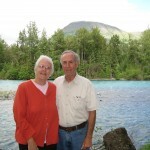 Greg and I headed out from Anchorage this morning on our way to the Kenai Peninsula. 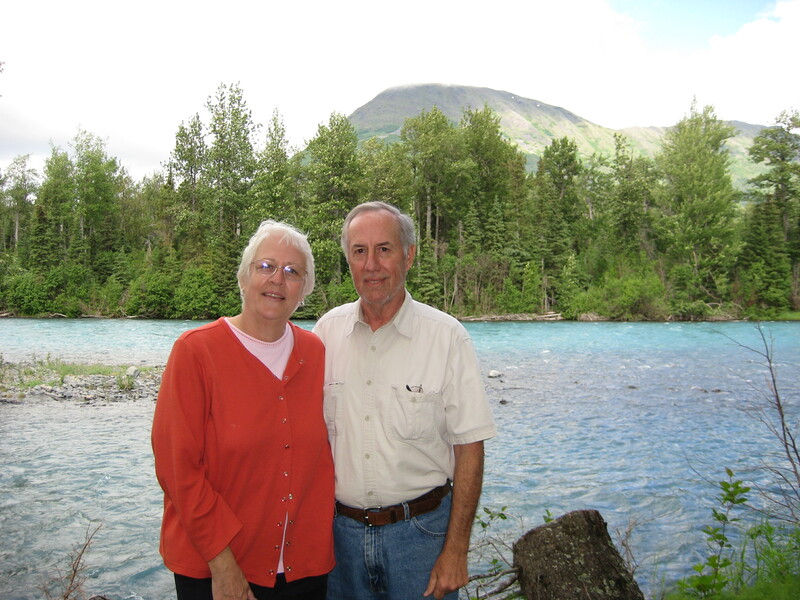 Don and Sandie will spend tonight on Kodiak Island and return to Anchorage Tuesday evening. We will be in phone contact on Wednesday, when they will have to start their return trip to Calgary for their flight home. We expect to be on the Kenai Peninsula til the end of the week, so we probably won’t catch up to them. So we said our goodbyes this morning. The morning started out dreary—rainy, foggy, and cold. As the day went on, the temperatures moderated and the sun came out for a warm afternoon. 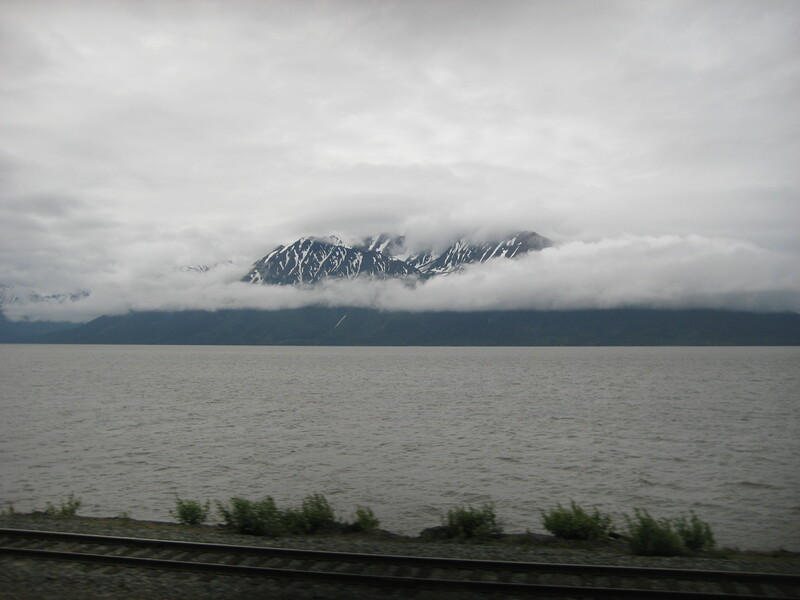 We followed Turnagain Arm, a body of water named by Captain Vancouver in 1794. This body of water is known for having one of the world’s remarkably high tides, with a range of more than 33 feet. A bore tide is an abrupt rise of tidal water just after low tide. This dramatic tide is formed by a flood tide surging into a constricted inlet such as Turnagain Arm. It’s a beautifully dramatic area with high mountains surrounding this body of water. 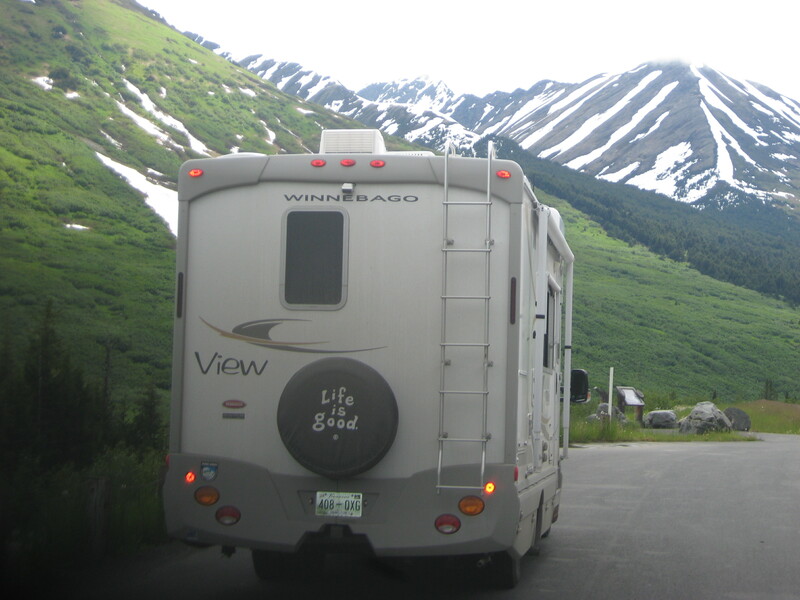 The road follows the water until you get to the Kenai Peninsula, less than 50 miles from Anchorage. 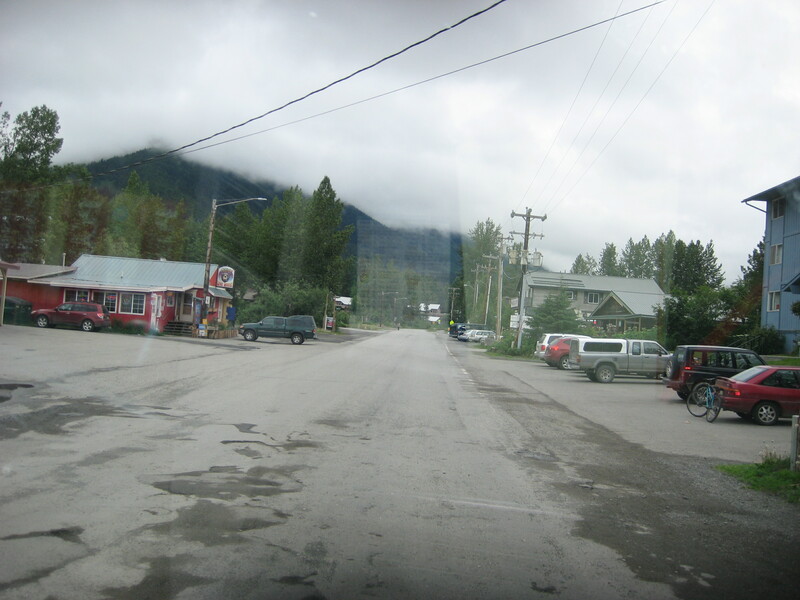 Our first stop was the little town of Girdwood. 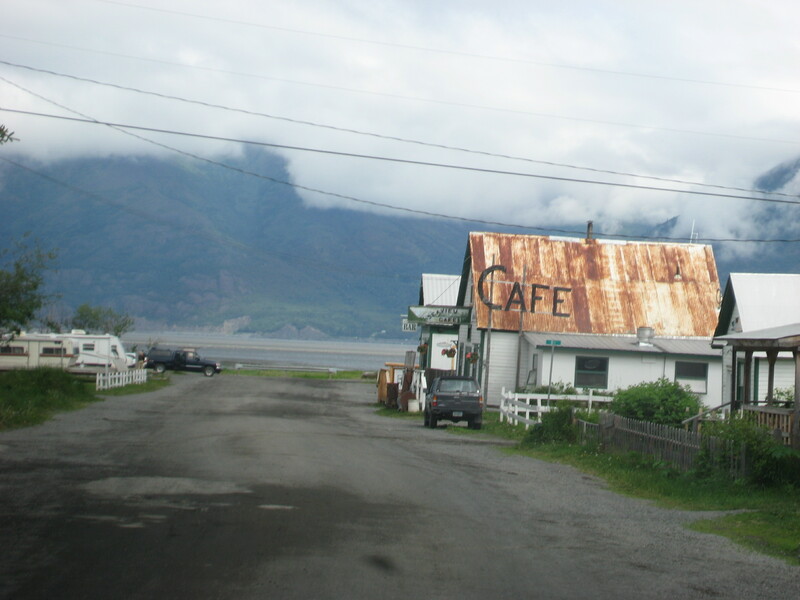 In the earthquake of 1964, the original site of this town was beside the Turnagain Arm. The earthquake caused the town to be destroyed by flooding due to the high tides. When the town was rebuilt, it was moved 2 miles into the valley so as not to be beside the water again. It’s a quaint little town, just a little village, but we found the post office and mailed a package out to Allan. We stopped for a cup of coffee at a little coffee shop in the middle of the village. We stopped at a visitor center at the start of the peninsula and got a lot of good information about this area. Our next stop was the town of Hope. 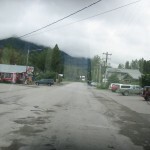 We turned off the main highway and drove 17 miles down a 2 lane road to the town of Hope. The road ends in Hope, so in order to continue your journey you backtrack the 17 miles to the main highway. This picturesque community was a frenzy of gold rush activity in 1896. The gold rush here was short-lived because by 1899, many of the miners had joined the gold rush to the Klondike. 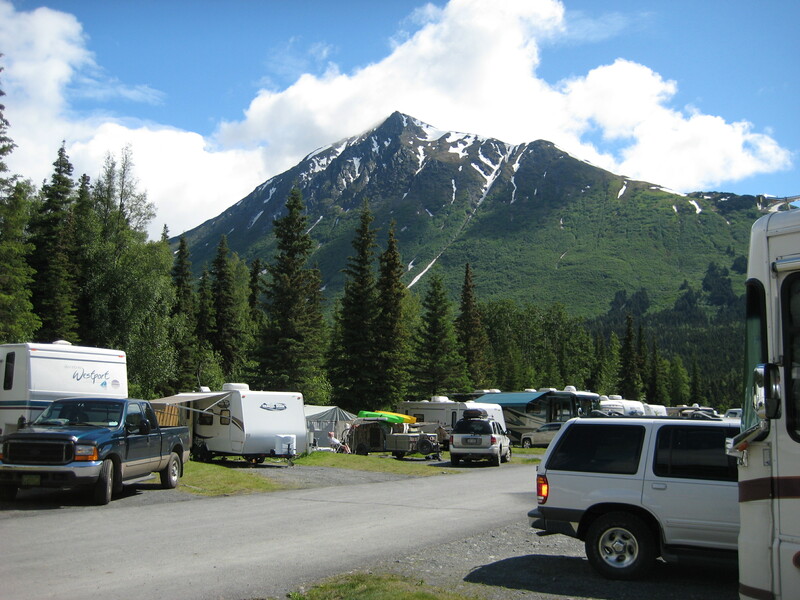 Hope is the best preserved gold mining community in southern Alaska. We stopped by the side of the road to have lunch. Our trip today has been one of unbelievable dramatic scenery at every turn. 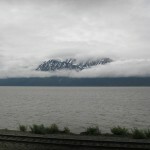 The peninsula road is in the valley with grand snow covered mountains on the other side of the Turnagain Arm. Our last village of the day was Cooper Landing. I was most anxious to get to this area because the campground where my Mother and Dad hosted 30 years ago is in Cooper Landing. Cooper Landing was named for Joseph Cooper, a miner who discovered gold here in 1894. It has only been since 1954 that a road connected Cooper Landing with Anchorage. 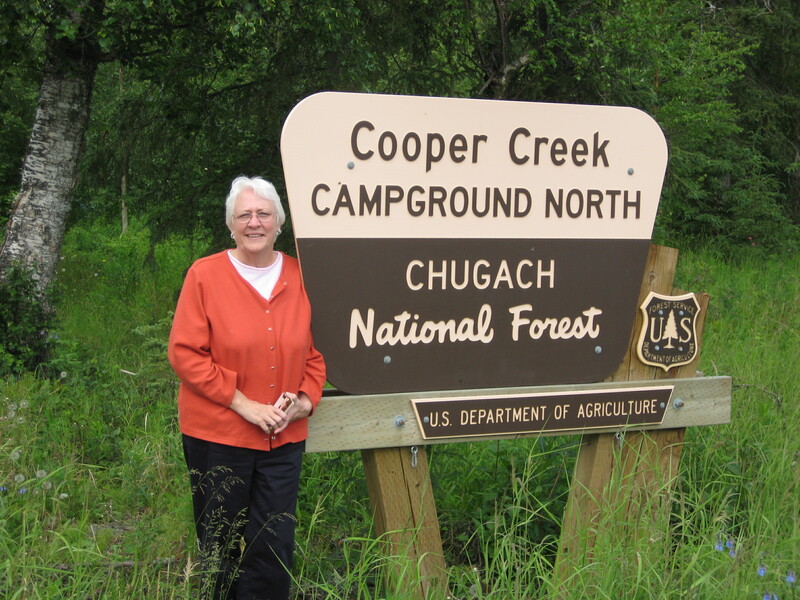 The campground we were looking for is named Cooper Creek US Forestry Service Campground. 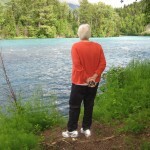 I brought photos with me of Mother and Dad in their campsite, Dad fishing on the Kenai River, etc. I knew their campsite was right on the river, and I knew, because they were hosts, their site would be the first one on the campground. We found the campground and turned in. 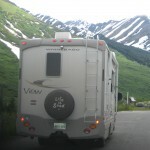 The first site had a big motorhome in it, and I saw the couple sitting around the campfire at the site. I had Greg let me out while he parked the RV. I walked into their campsite and introduced myself and told them my mission. I had the photos with me and showed them as I told them the story of Mother and Dad and this campground. They were very gracious in telling us about the area (they have camped here off and on since 2002). After looking at our photos we all determined that this was indeed the campsite we were looking for. We took photos in the campsite and along the river. This was one of the most beautiful sites I’ve ever seen. 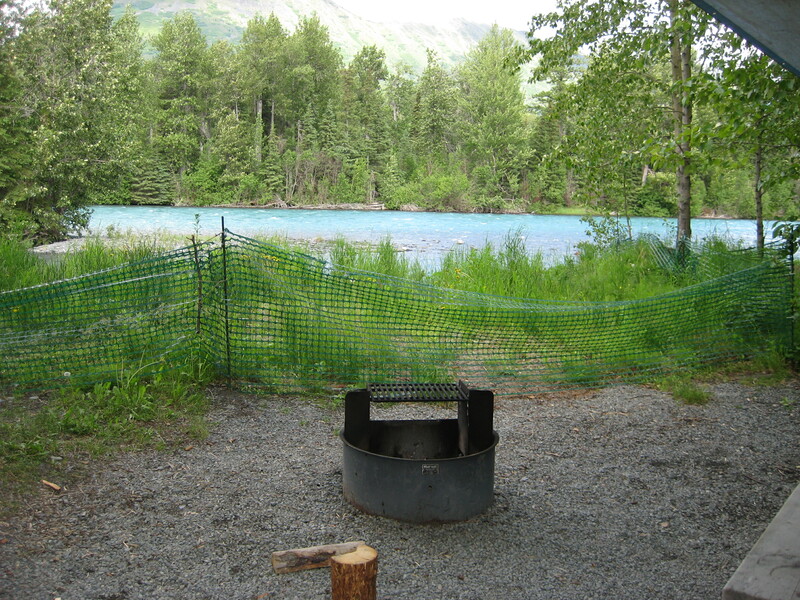 The Kenai River is very green due to it being from glacier runoff. It has a gentle flow and it is so clear you can see to the bottom. I have a photo of my Dad fishing from this very site, and we think we even spotted the grouping of 3 trees where he was standing in the photo. Well anyone who knows me can imagine what an emotional moment this was for me. I never realized what a beautiful spot this was, and can you imagine they camped here for 3 months? Dad caught salmon, and Mother canned it. No wonder they loved it here and they never forgot about it. 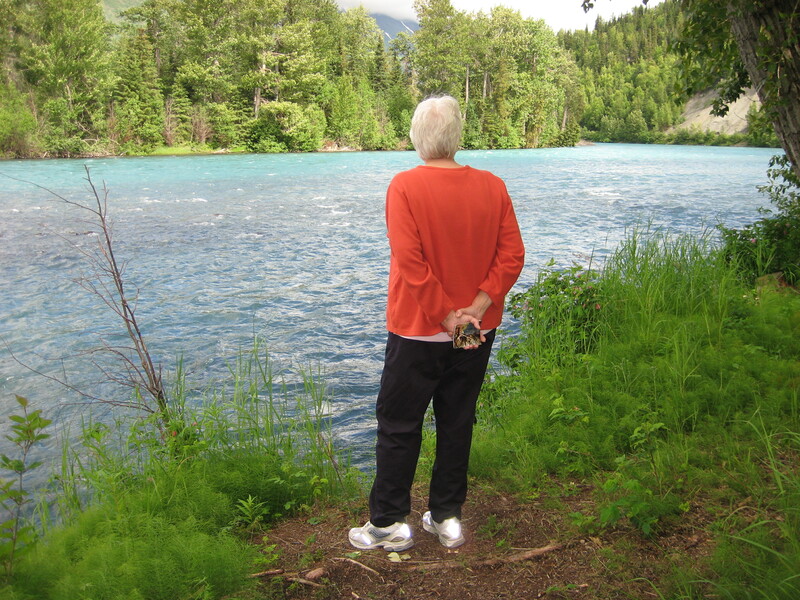 No wonder, as long as Dad lived, as he lost his memory, he never forgot that wonderful summer in Cooper Creek Campground, fishing for salmon on that beautiful river. It was overwhelming for me to stand there. The couple who are now camping in that site told us to stay as long as we wanted. They were so gracious, helping us set up the picture frame so that we could capture exactly what we wanted. I really had to make myself walk away from this spot. It was just so beautiful and I just cannot believe we found it. I’ll never forget this day. 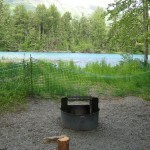 We would have loved to spend the night in that campground but it was totally full. So we are camped down the road in another campground. But it doesn’t matter. I’ve done what I came here to do. I’m one very happy camper. 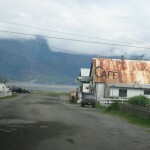 Tomorrow we’ll head over to Seward which is only about 50 miles away. 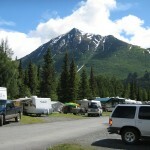 Seward is a fishing village and there is a city campground that we would like to stay in tomorrow evening. It is right on the ocean and would be a great place to stay. We hope to see some fishing boats in the harbor. Bonnie, I am right there with you on the emotion of this post. It is these moments that make life so SPECIAL! My eyes filled with tears as I read this. 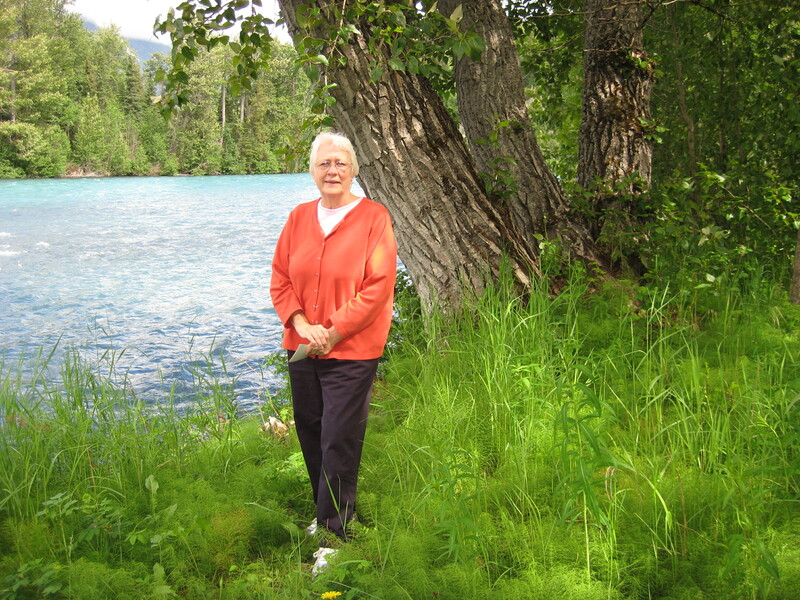 My mother has never stopped talking about how much she loved Alaska and how she would love to go again someday. I am so happy you all are on this amazing journey and that it has been even more than you dreamed it would be. I hope someday you will return to this beautiful place with Olivia and tell her your stories and the stories of her great-grandparents because if we leave our children and grandchildren with nothing more than our stories and memories we will have left them with something greater than money could ever buy them. Is that a beard growing on Dad?? 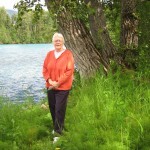 Hello from Zurich, Switzerland – I’m enjoying your blog, clear over here; eelsciaply since I was born and raised in Anchorage, Alaska. 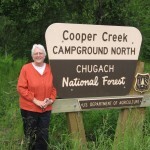 Your photos are beautiful, and I’m reliving some great memories.A great campground that our family went to a lot when I was a girl was Quartz Creek, and Trail River. God bless your journey!